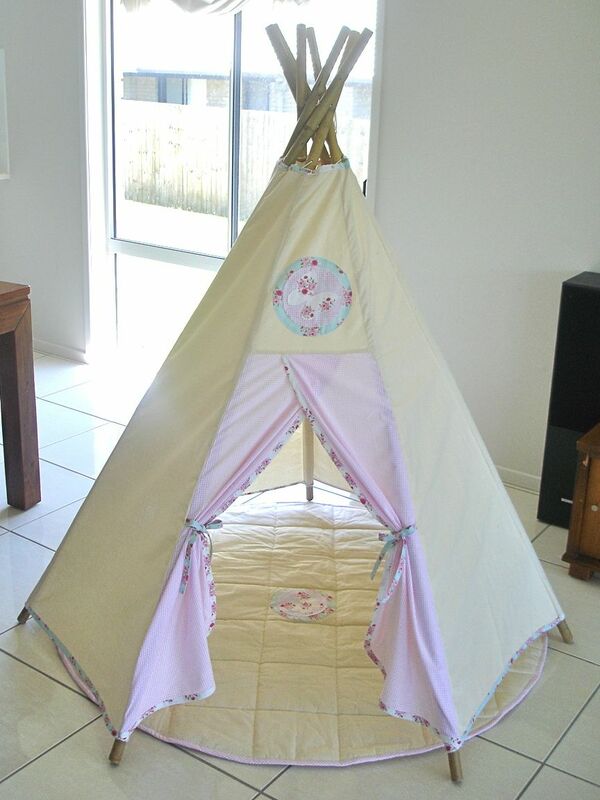 Jo, all the way over in the UK, saw Henry’s House Teepees on Facebook and decided she just had to have one. Even with the extra cost of postage and having to purchase the poles on her end she insisted it was worth it! 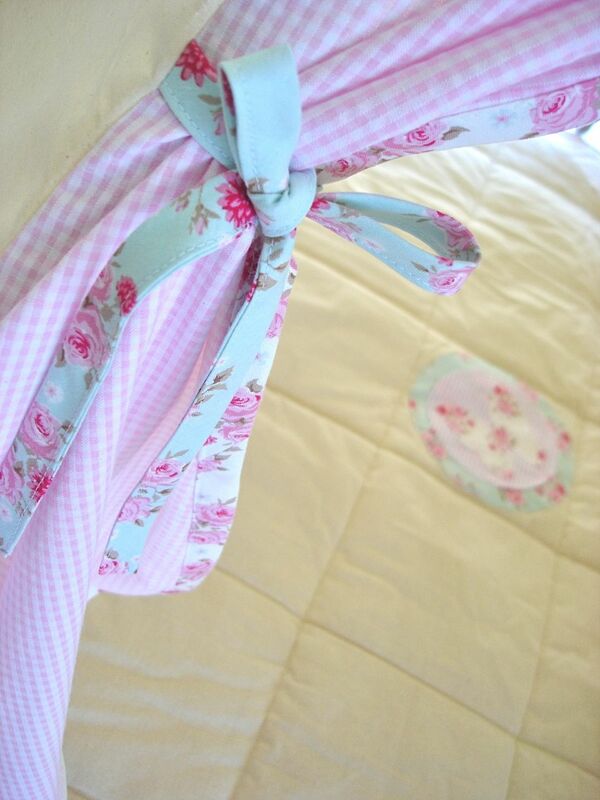 I’m glad she did because I got to make this beautiful Teepee with fabrics from Jo’s very own “Purkilicious” range (her business). 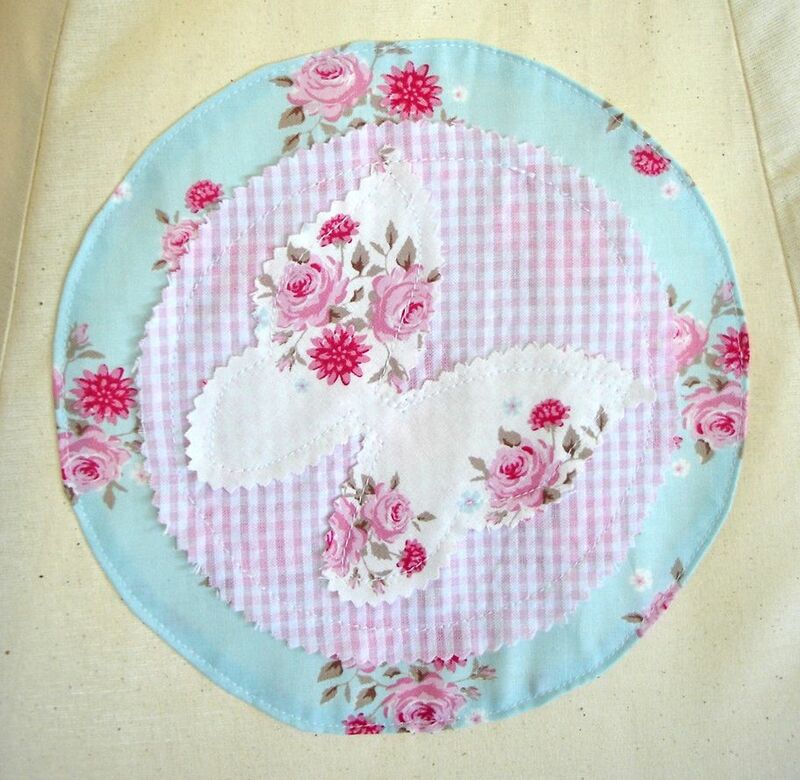 And both the mat and Teepee feature the signature “Purki” butterfly. 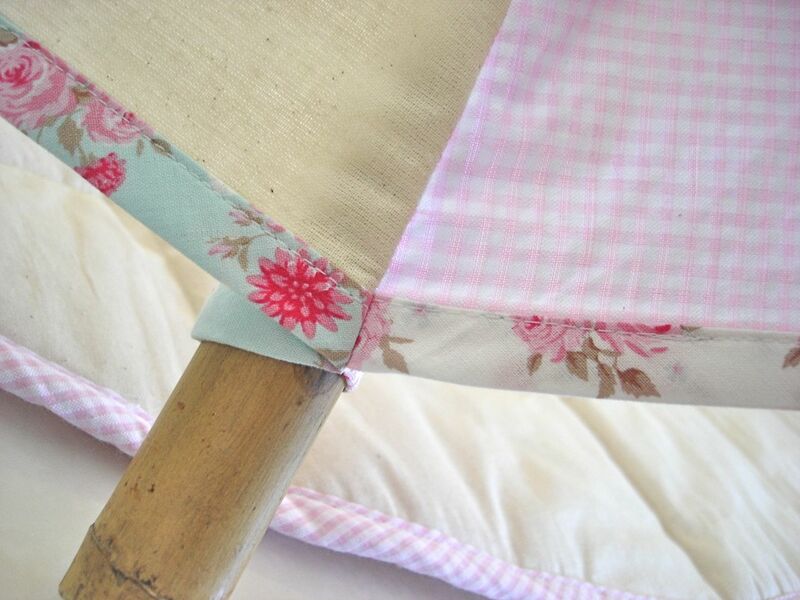 To complement the fabrics and give it a shabby chic look, Jo requested a different fabric trim for each panel of the Teepee.